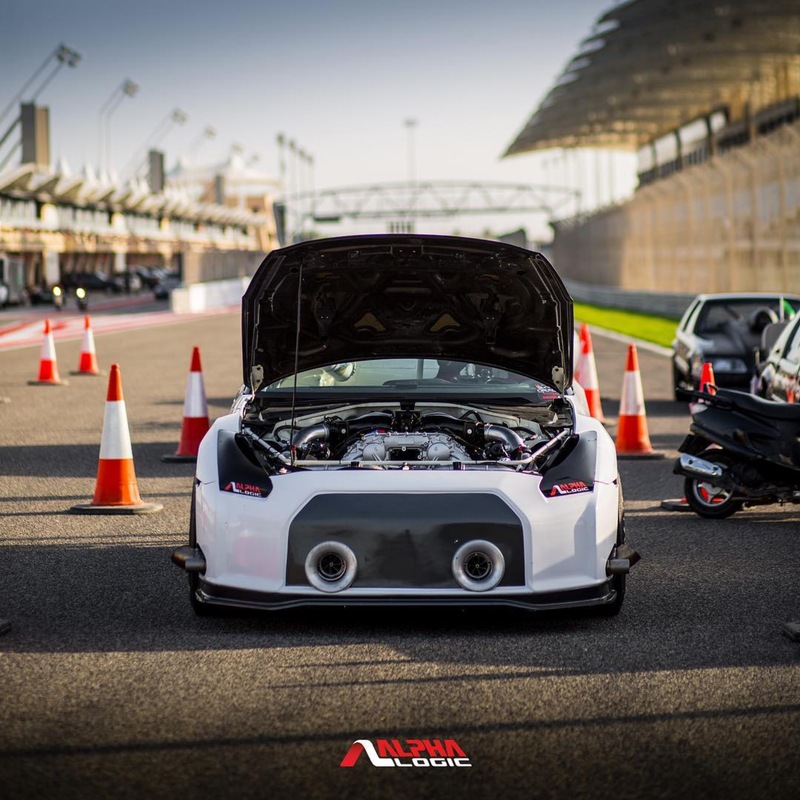 Over the past few years Alpha Logic has made a name for itself as the go-to GT-R tuning shop for the speed-hungry gearheads in Dubai and the surrounding area. 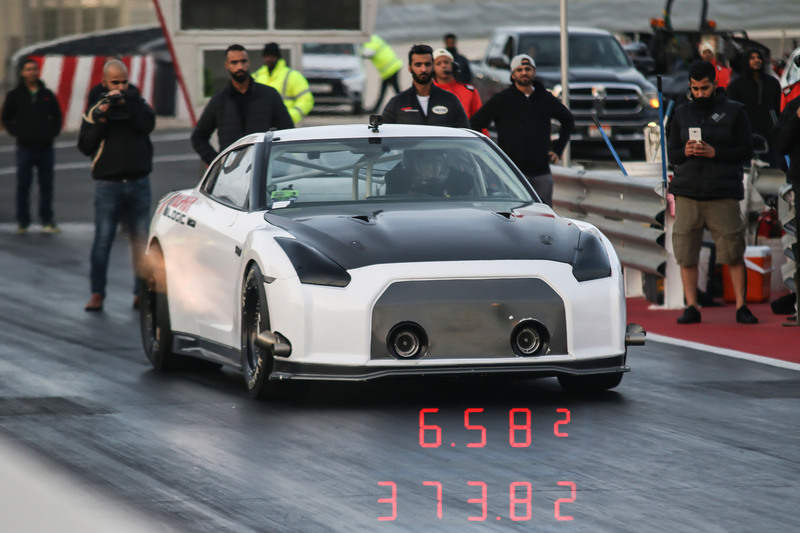 With the help of AMS Performance in West Chicago, Illinois, the tuning outfit has brought seriously potent performance to enthusiasts in the Middle East, thanks in no small part to the hard work of shop manager and ace wheelman, Rob Harper. Harper says that because their car has been known to get squirrelly, they never race heads up at the BDRC events – they are there to set times, not rank up points toward a championship. 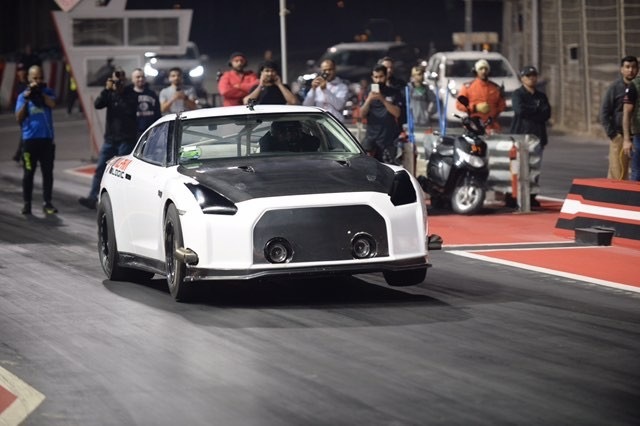 The team is understandably tight-lipped about the details of the GT-R’s engine setup, but we do know that it’s a 4.3-liter billet block from AMS with T1-ported cylinder heads and a set of custom pistons that Diamond helped the team create for this build. Even with the large amount of boost involved, the bottom end hasn’t missed a beat. 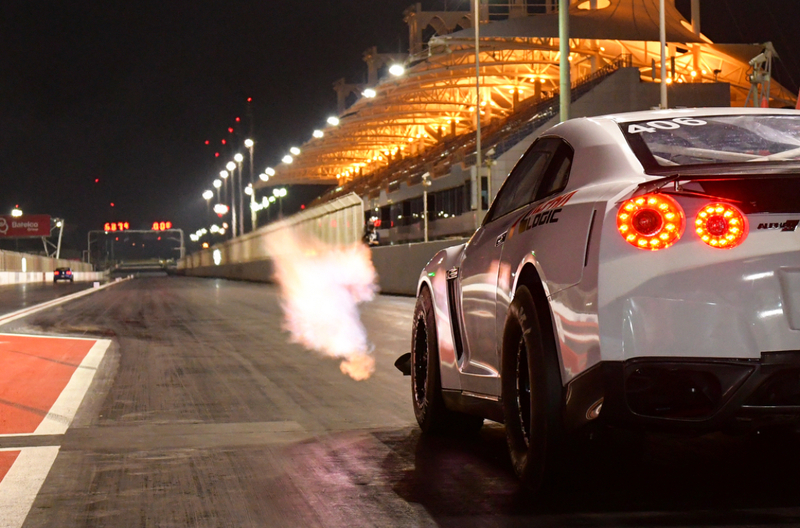 By 2015 Harper had established himself as a leader GT-R tuning, and word of his expertise had reached far and wide. “By then I was tuning a lot of cars in the Middle East, so I was traveling over there a lot,” he tells us. “And a lot of these were AMS-built cars, so that’s how I ended up on their radar.” Today, Alpha Logic is the largest dealer of AMS Performance hardware in the world. Of course brand reputation doesn’t happen by accident, and talk is cheap. So to prove what Alpha Logic tuning and AMS Performance hardware could do, the shops put together a car that would showcase what they’re truly capable of. Harper notes that although the car is gutted, it is still far less radical than most record-setting drag cars. 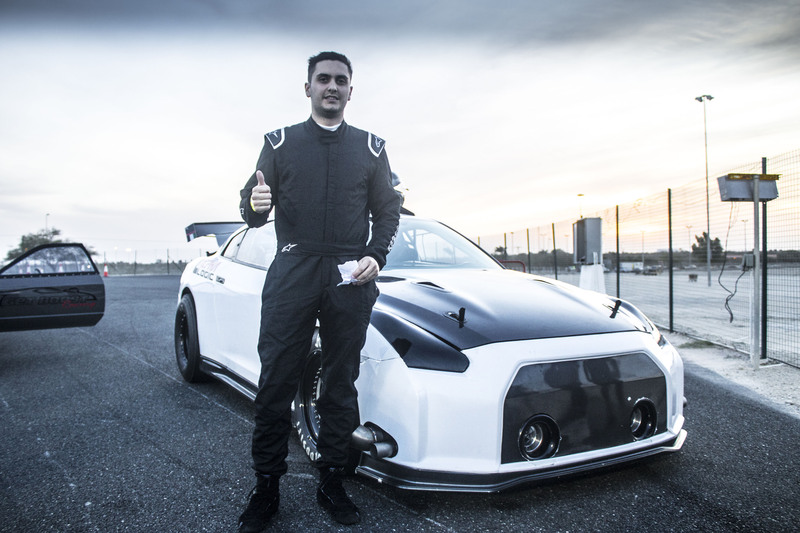 The factory chassis and suspension design remain intact, and the car still uses the factory gearbox, albeit with a healthy amount of strength upgrades. Harper’s reputation as a GT-R whisperer caught the attention of AMS Performance in 2015, who partnered with him to connect with enthusiasts in the Middle East. Today, Alpha Logic is AMS Performance’s largest dealer worldwide. 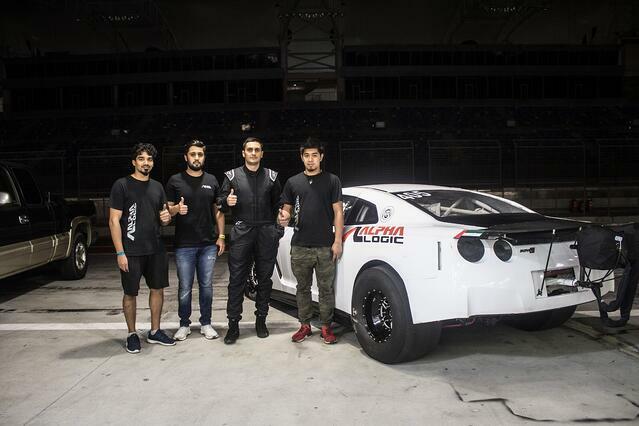 The Alpha Logic team has broken the record for the world’s fastest all-wheel drive car no less than four times now, beating their own world record on the last three occasions. Harper says they participate in series called BDRC in the Outlaw Six Cylinder class – not so much for the competition, but to get some track time. “Because our car is somewhat notorious for not going straight, we never race heads up with anyone. We basically take advantage of the event for the two test-and-tune days and the qualifying day. "It’s a complete car – it’s drivable," Harper says. "I drive it up to the line, I drive it back to the pits after the runs. It doesn’t overheat, it doesn’t run an ice box or anything crazy. It’s built just like we build the street cars." 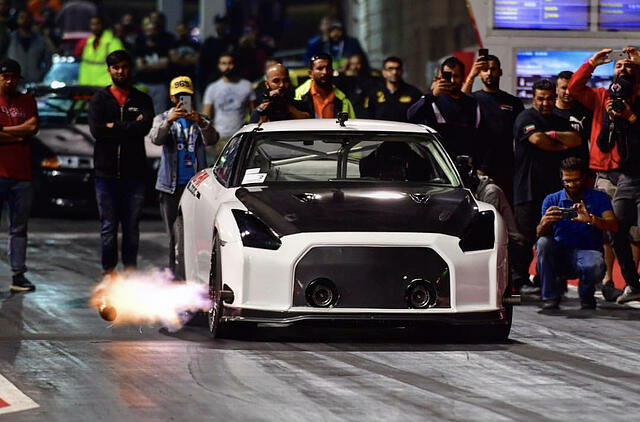 Alpha Logic’s fire-spitting R35 can hang with Pro Mod racers despite the fact that the Nissan still uses the factory chassis and weighs 3,500lbs.